The activities from our first short term roadmap have been a great success as we executed each week accordingly. We have received great feedback, suggestions from some community and network members. 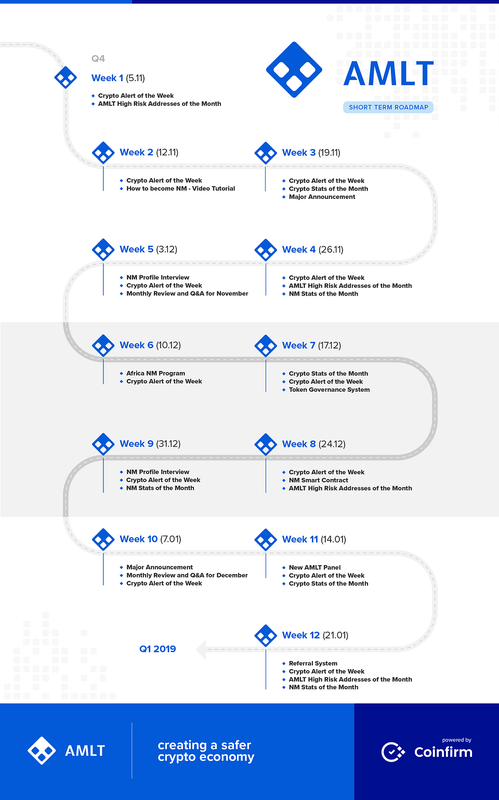 We value our community and partners and see them as a foundation of AMLT Network Member community and safe cryptocurrency economy, we are happy to share the new detailed short term roadmap for the next 3 months below and to include everyone in the process and assure all of you our dedication to deliver. 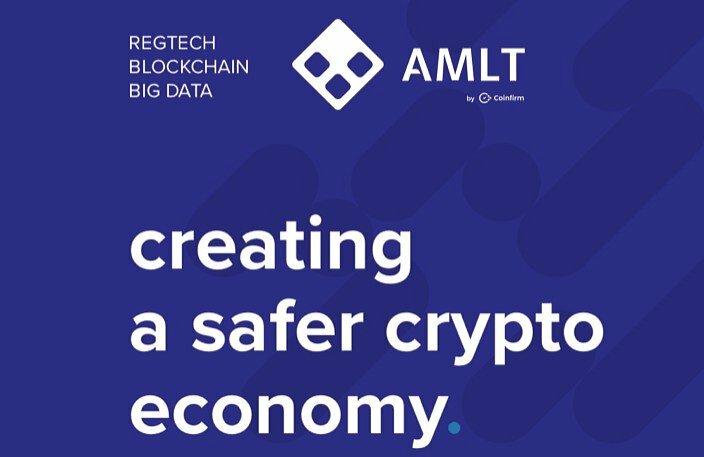 As you can see in the roadmap below we are continuing with some popular activities such as Crypto Alert of the Week, Crypto Stats of the Month, High Risk Addresses of the month while introducing some new series like “NM Profile Interview” and “NM Stats of the Month” that will give a bigger picture on the growth of our Network Membership and addresses that are reported into AMLT Network. We’ll be also conducted regular Q&A’s across Facebook and Telegram to take your questions and share some exciting new announcements. Our ultimate goal is not only to make the cryptocurrency economy a safe and transparent place but also push the legitimacy, adoption, legitimacy and security of the market overall.